.....Things are about to get a whole lot comfier (and prettier) on the new corner bench in Heather Townsend's dining room! Congratulations! You must be age of majority in your country of residence. We are not responsible for any duties, import taxes that you may incur. Only 1 entry per person. This prize is non-transferable and cannot be exchanged for monetary value; No cash alternatives to the stated prize will be offered; Valid until 8th May 2018. This post is brought to you in collaboration with Nordal. Dark grey canvas would fit perfectly on our bed: exactly the soft dark grey we're looking for for our bedroom. Lovely dark grey canvas on our sofa in the living room, but those pillows fit anywhere. Oh my gosh the Dusty Rose ones are smashing! They're all beautiful, but I love the dark grey canvas. Purple Grey - They are exact same colour as our couch (from Ikea) but they could also work on our bedroom because all our bedsheets are mostly white so these could bring a bit of colour. Oh my, the dark gray and purple gray are stunning. I'd love to use them as neutral accents on my white couch. Thanks! Light grey would be perfect for my bed! Bordeaux or Purple grey! They'll match so beautifully on my master bed with my enourmous macrame wall hanging! Dark grey and purple grey are my top choices! They would work with my sofa or bed for added cosy feel! Lovely cushions that would fit incredibly well on my sofa, any color really. But if asked, I would choose Dusty rose and purple grey. Light grey for my couch OR my bedroom - can't decide! Dark grey canvas would suit my study perfectly! Dark gray and purple gray for my living room. oooh definitively the dusty rose and i would put it in our living room ! Dark grey and dusty rose, I'd put them on my sofa and it would be more comfortable reading and watching TV with these two. Light grey and dusty rose! One for our reading nook and one for the bedroom. how cool! I love Bordeaux and purple grey the most. Dark Grey and Purple Grey! I would put them in my cozy plant nook in the living room! Would love the dusty pink for my seventeen year old daughter who is drowning in revision and could melt onto these on her bed!! I really like tbe dark grey canvas. Would look great in our home. Dark & light gray would be just right in our living room...or our bedroom..or my daughter's room...or my other daughter's room...or for my sister's birthday, even! Bordeux would be perfect on my new gray-beige Stocksund sofa from IKEA! Light grey canvas for my new apartment where I will make a cozy reading nook with plants and neutrals. I would love Dusty Rose! I have been slowly swapping out our gross old cushions off our couch and these would be the perfect accompaniment too our couch and theme of our lounge room! Dark grey canvas to go with my biege sofa. Thank you! Light grey and purple grey would be gorgeous in my monochrome living room. Thanks! The dark grey and light grey remind me of the ocean in a stormy day! Would be lovely on my bed! Dark grey canvas, one at each end of our black leather sofa which doubles as our bed in our Tiny House would be wonderful! I love the dark grey canvas and the dusty rose! 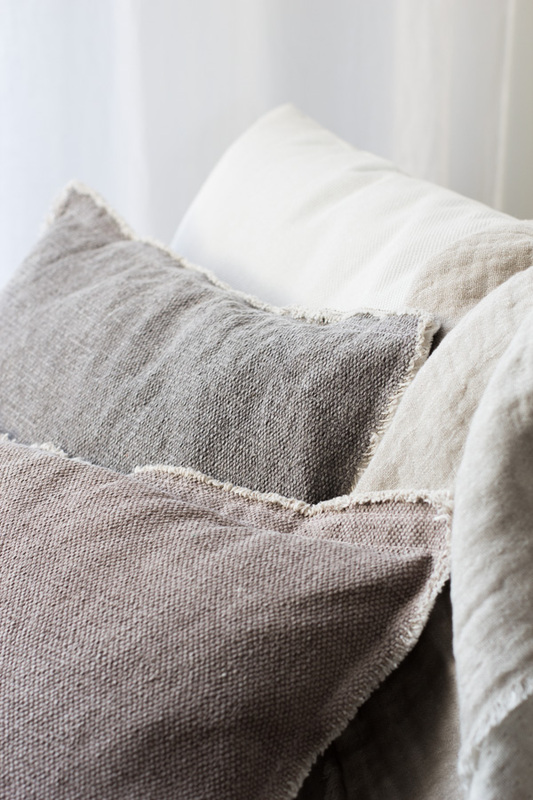 The texture and luscious tones of these sublime cushions makes me take a big breath out when i look at them. I think i would move them around the house, so they are never far from wherever i am. Dusty rose and light grey are just perfect. I'd love the dusty rose and the light grey to put into my parents' bedroom. I think they'd look lovely with the modern-looking bed they have and bring some natural fabrics into the space. I love the dusty rose and light grey covers! The Light Grey and the Dark Grey are 'linen' shades. So appealing on my couch to drift into! Purple grey will look amazing in my bedroom and will be perfect birthday gift for my 36th birthday on 8th May! After 7 years of owning only the most necessary pieces of furniture, we finally did a huge renovation and are almost ready for decoration. Would love to see these pillows in our little nursery nook. Or comfy on the couch. Or in the reading spot. Or on my own bed, haha. 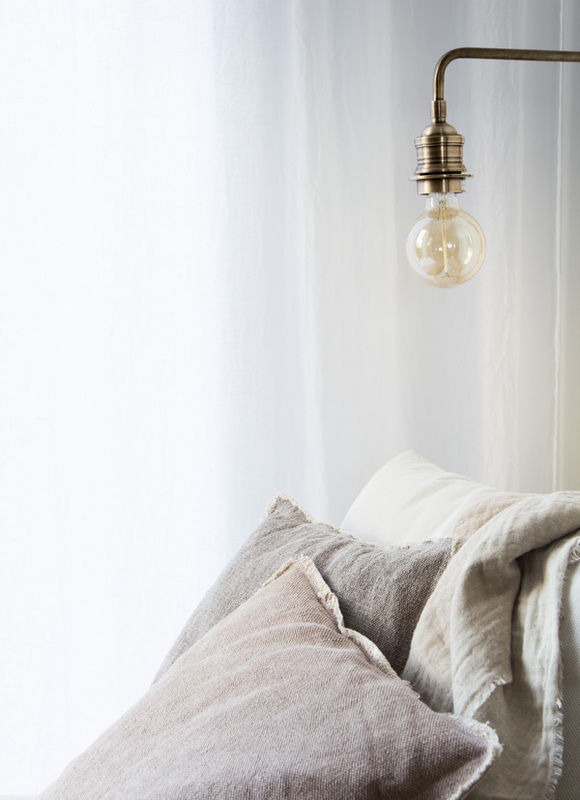 Light grey is my favorite color, truly Scandinavian and fits in perfectly in every interior. Great giveaway, thanks for the initiative, for you and Nordal of course! I would love to have a dusty rose and a dark grey on my living room sofa. google sniper 3.0 If you have a solid business plan, you may want to look for potential investors. While this is a difficult step, you may want to stay ready. It's suggested that you should talk to hundreds of potential investors before choosing the right one for your new business. Here are a few good ways to look for the best investors. light grey and dusty rose would be the final touch to my newly built high bed with a view and freshly made-up bedroom! google sniper 3.0 Here are some things that you must do if you want to have a successful business. At this point, anyone can go on a popular search site and find that there are thousands of books that have been written by various authors on how to become successful in business. With all the information available to us, both on the internet and library, it is tough to find a short list of the most important rules that must be followed in order to achieve success in business. Oh my, all of the colours are gorgeous! But I have a feeling that the dark gray canvas pillows would perfectly fill an empty space on my bed. It's longing for some pretty cushions, without them it looks so bare. I love the purple grey and the dusty rose for my sofa! !Thank you very much!!! Dusty pink would be perfect for my bed!!! I would love to receive the dark grey canvas and the dusty rose for my house :) Thank you!! I love the purple gray,and dark gray. I would put them in my living room,to show them off. love the dark gray and purple gray! I'd put them in our living room, a room we use the most! I'd most enjoy the dusty rose and light grey. I'd put them on the guest bed in my little cottage home. What guest wouldn't love to be greeted with such lovely pillows? What great pillows! They would work with in any type of decor. I would love the dusty rose and purple grey. The colours are so soft and would look splendid on my bed. The two grey pillows would fit perfectly in the window seat we are building in the Scandinavian loft in our 100 year old beach house... I could lean back on the pillows and gaze out towards the sea inspired by a true piece of Scandinavia! I love the purple grey! Would be great in our bedroom! Beautiful colors. My favorite and dusty rose and bordeaux - they would add just the right texture to my bed! The dusty rose and light grey. Would look lovely on our new sofas which should arrive soon! Purple grey and light grey! I would also love to know where these pillows can be purchased in the United States! dusty rose ones will definitively go amazing on my bed! The purple grey and dusty rose would look so lovely on our family room sofa. They look so simple and natural in your window nook photos. Oh these are gorgeous! I love the dusty rose and purple grey tones. I've just moved into a new home and these would lovely to create a cosy touch to my bedroom. Dusty rose & purple grey for my vintage metal bed. Please. I'd choose Dusty Rose and Light Grey for my new home that is a dreamy place for both work and rest. I would put the pillows in my grey velvet sofa. Dusty rose for the worn in leather arm chair where I drink coffee and catch the morning light. Purple gray and dark gray. They'd go nicely in our black and white guest bedroom. My parents are coming to stay soon for an extended period... how cozy for them! I would love see the dusty rose and purple grey pillows on a beautiful rustic bench I have, nestled at the foot of my bed. The colors would be complimentary to the calm serene hues in this space. oh i love the light grey! ive been wanting some more pillows for our bed and these would be perfect! Light grey would look lovely on our couch! Purple grey would go great with the white and grey decor in our living room! The I have a couch which needs some cushions! purple grey & dark grey for our couch! Bordeaux please... They'd go so nicely anywhere in that colour. I love the dusty rose and the purple grey! !They would look perfect on our sofa!! !Thank you very much for the lovely giveaway! I always love your giveaways! I hope to be lucky this time! My favourite colours are definitely light grey and purple grey! Those would be perfect on the sofa in my living!!! Oh I love this cushions so much !!! I would go for light grey and purple grey, they are so beautiful! I would put them in my living room, they would look great next to the new Nordal wall lamp for deco bulb (small) I just bought! So I'm crossing my fingers! Thank you! I would like the Bordeux for my living room sofa. Dusty rose and light grey are a perfect present for my best friend´s baby´s bedroom!! She will be born in a fews days after 5 years of struggles and hopes. Dark grey and dusty rose <3 <3 ...for our new bedroom! I lovely the texture of the fabric, and they are all so beautiful (like anything else from Nordal). 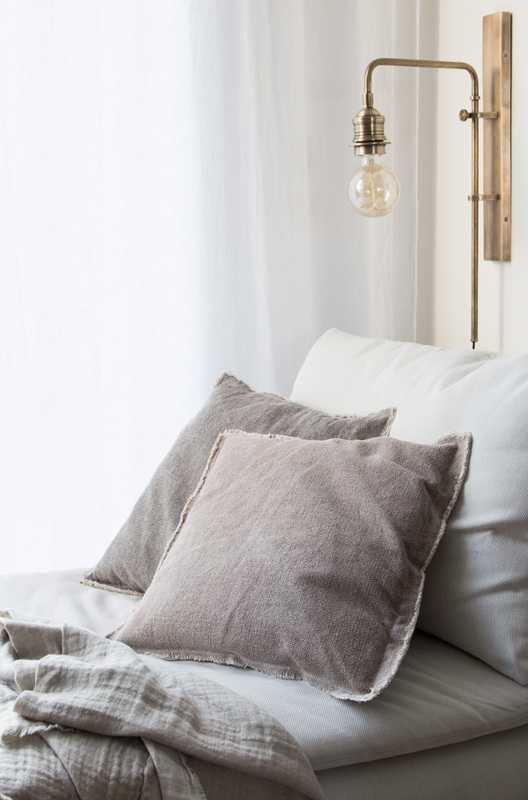 It is hard to pick (too many choices) but since I discovered and fell in love with My Scandinavian Home I stick a restrained palette of white, black, grey and natural wood so I would love the light and dark grey ones. Thank you for your generosity. Niki, you always have the best giveaways and who would not love a gift from Nordal? I am total Scandi addict so my preference would be the dark and light gray. I think I would park them on my white living room sofa (they would go nicely with the existing dark teal ones. Dusty rose would look beautiful on my light gray couch in my sun room. Long time fan here! These are understated gorgeousness, my personal fav is the dusty rose - would make a lovely grow-up touch to the nursery of my 20 day old baby girl! Thanks for these lovely give aways! Dusty :) thanks for the opportunity!